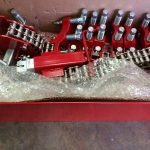 We have been supplying pipe fitters across every type of site in the UK for decades with every type of clamp imaginable. 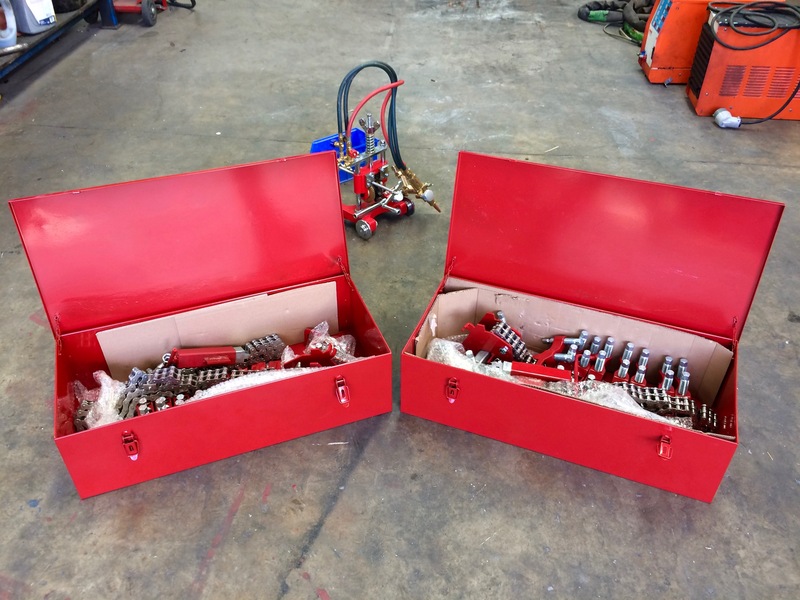 We keep stock of a wide range of pipework equipment however nuanced and specific, with the option to hire or buy our gear. 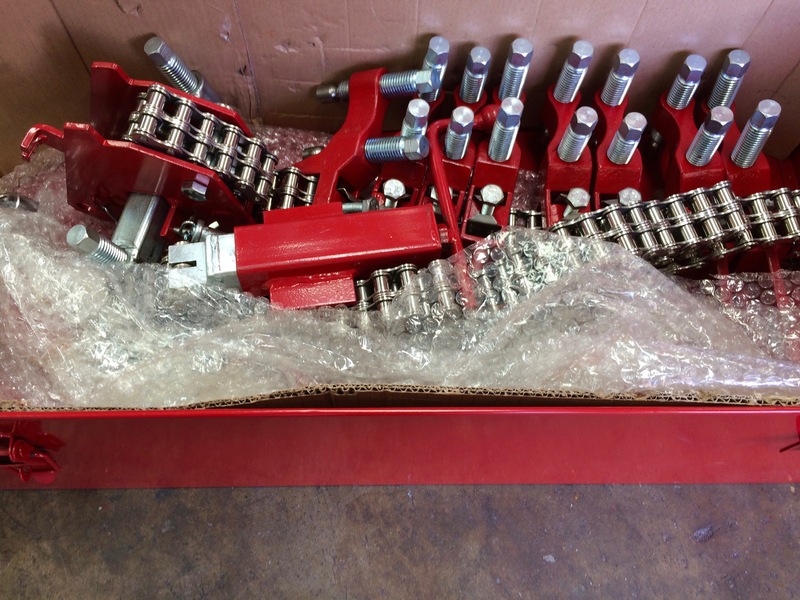 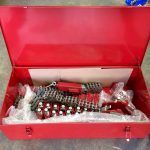 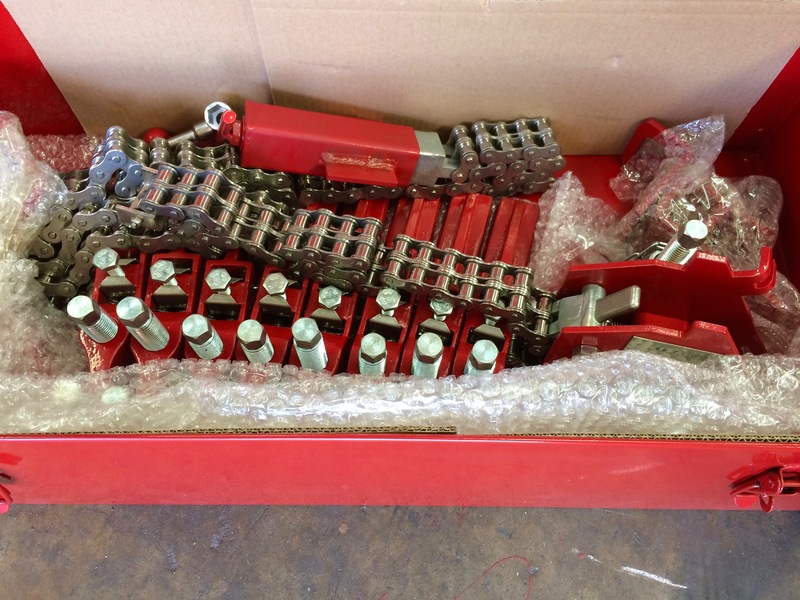 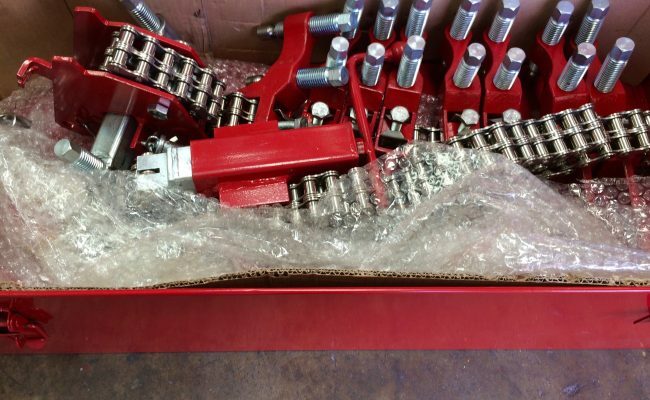 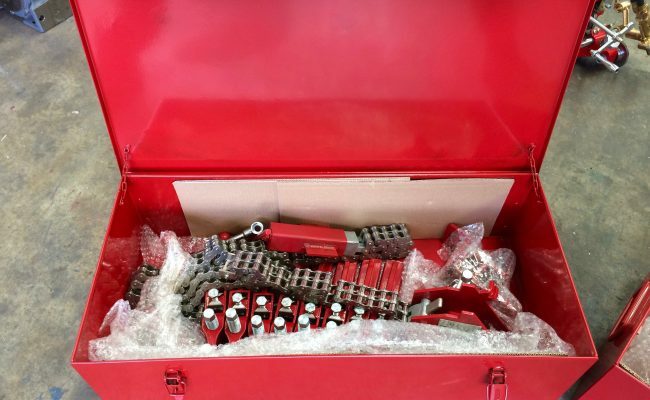 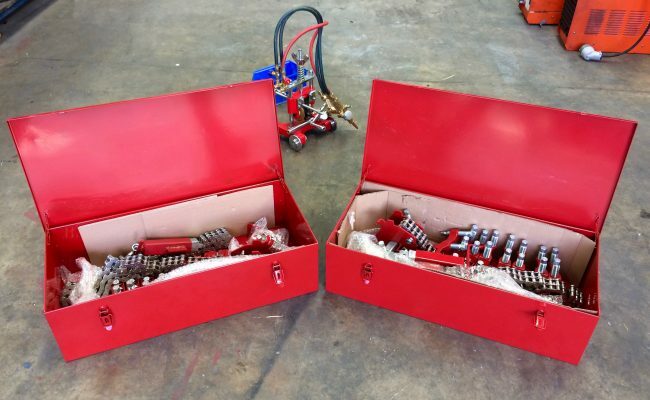 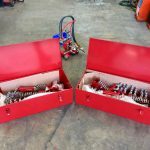 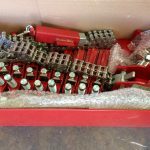 In the photo you can see x2 of our carbon E-Z Single Chain Pipe Clamps, Range 10 - 36” (254-915 mm) as an example of a popular clamp, which come in a red carry case and have red jackbars. 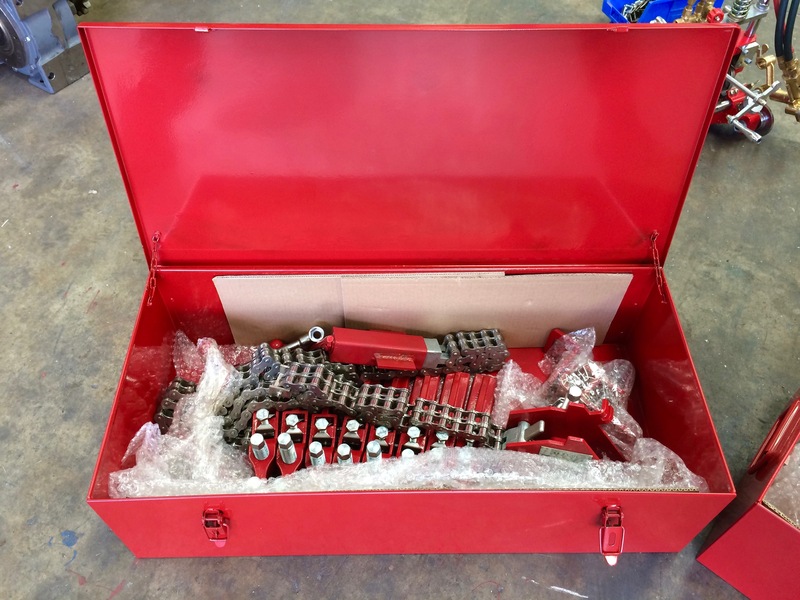 We also do a heavy duty range of double chain clamps for large pipe, and each and every size from 1" - 240" in 'SS' stainless steel which come in a green carry case as well as green jackbars for identification. 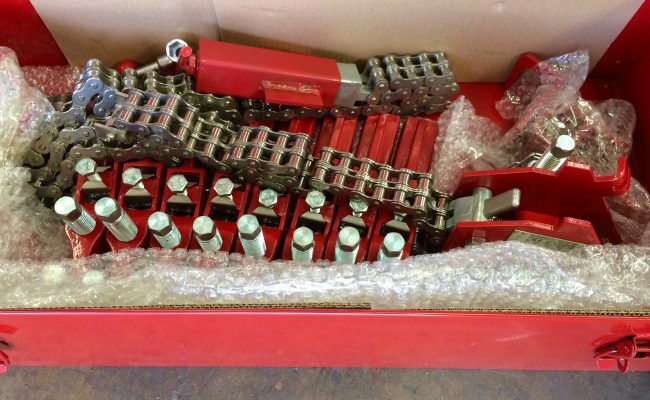 Get in contact for a competitive quote and to learn more about hiring and buying our pipe fitting equipment, or if you need any technical help.